SACRAMENTO – The U.S. Department of Transportation’s Federal Transit Administration (FTA) today celebrated the opening of Sacramento’s Blue Line light rail extension to Cosumnes River College (CRC), which will significantly improve transit options for residents traveling between downtown Sacramento and the growing South Sacramento corridor. FTA Acting Administrator Therese McMillan was joined at a grand opening by Congresswoman Doris Matsui, Sacramento Regional Transit District (RT) representatives, and state and local officials. The expansion offers local commuters an alternative to congested Highway 99 and brings new transit service to the area’s major employers. It will also encourage new retail and residential development in specially zoned areas along the light rail line. The project extends Blue Line light rail service 4.3 miles from Meadowview Road to Cosumnes River College and includes new stations at Franklin Boulevard, Center Parkway and the college, and a new park-and-ride lot. 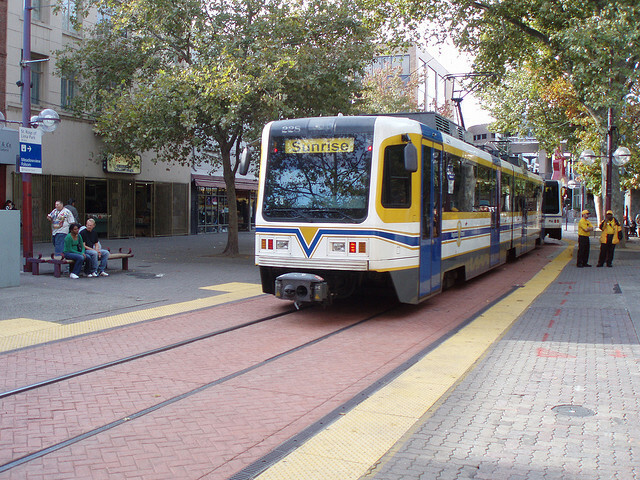 The Sacramento Regional Transit District estimates the extension will provide approximately 2,800 trips in addition to existing average weekday light rail ridership, which is approximately 39,400. The Federal Transit Administration contributed $135 million toward the $270 million total project cost through its Capital Investment Grant (CIG) Program, and an additional $7.1 million in other DOT funds. The remaining cost was covered by state and local funding.